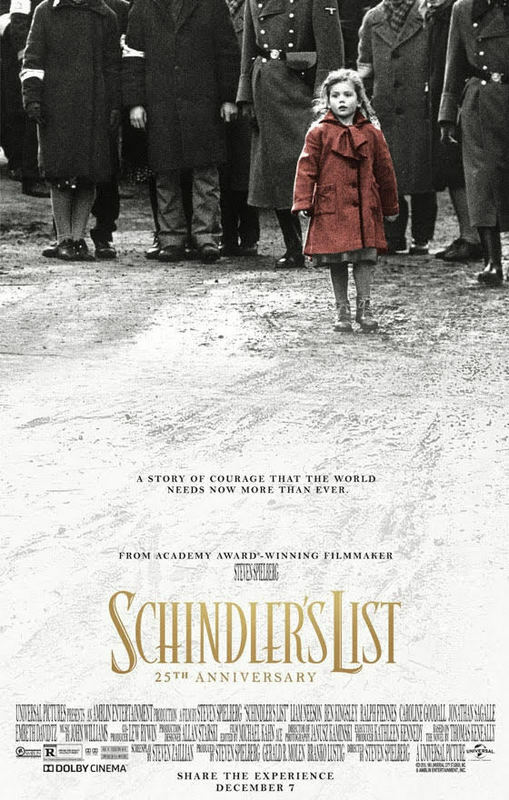 When Schindler’s List celebrated its 25th anniversary, Steven Spielberg used the event to introduce a new generation of young people to the film’s important message. In conjunction with the University of Southern California’s Shoah Foundation, Spielberg offered free educational screenings of the film for high school students and teachers across the country. Some classes from Ridgefield High School were selected to participate. Spielberg hosted a webinar for teachers prior to the screening to prepare them to teach the movie and to give his perspective on the movie’s re-release. He shared stories about the production of the film and the relevance of the film’s story to present day. Spielberg asked that students always maintain awareness of history, because it demonstrates what standing up against injustice versus not standing up against injustice can do. He hoped that students would be the ones to lead positive change into the future. The movie re-release came at the same time teachers Brittany Rodin and Jamie Heim were starting a unit on the Holocaust. Night, Elie Wiesel’s firsthand account of his experience in a Holocaust concentration camp with his father, is part of the junior curriculum and is required reading for students. Adding the screening of Schindler’s List to the unit, as well as artifacts, photos, and books from the Holocaust Center for Humanity, served as a foundation to teach students about the events of the Holocaust. Additional learning opportunities and more information about the USC Shoah Foundation and its partnership with Schindler’s List are available at https://sfi.usc.edu/schindlerslist.